Our very first bundle of 2018 is arguably the best bundle we’ve EVER put together! Includes a whopping 83 premium fonts over 42 font families, AND, 1800+ handcrafted graphics elements from 16 gorgeous graphics packs!! Get a HUGE 97% off this amazing collection today — normally priced at $892! 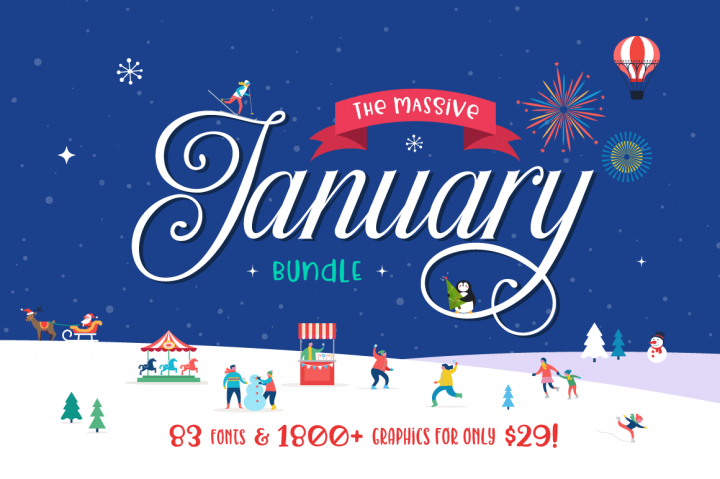 You get 83 Fonts and 1800+ Graphics in this bundle! As with all bundles sold on TheHungryJPEG.com, our Complete License comes included at no extra cost.